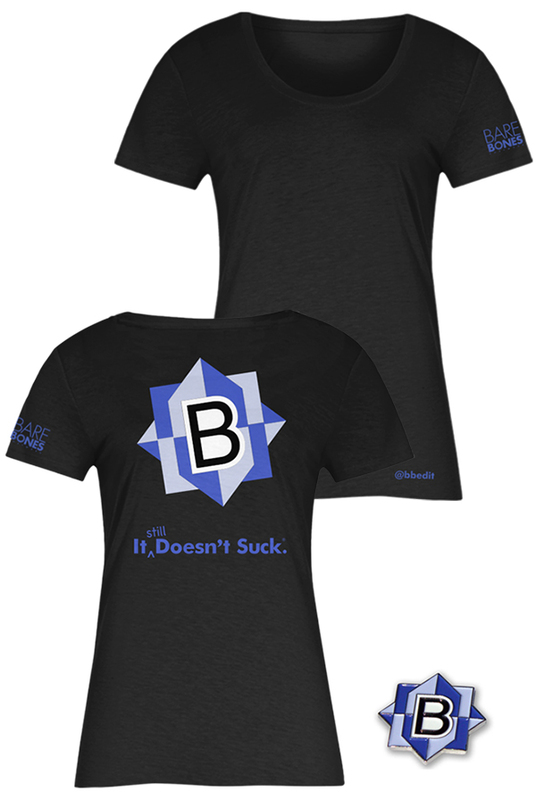 Save big on this popular combination of the fitted cut heavyweight (5.5 ounce) 100% cotton classic BBEdit T-shirt and the enamel-on-metal BBEdit pin. Fitted cut. Sizes run smaller than our straight cut shirts; please see the sizing chart to find the best fit for you.